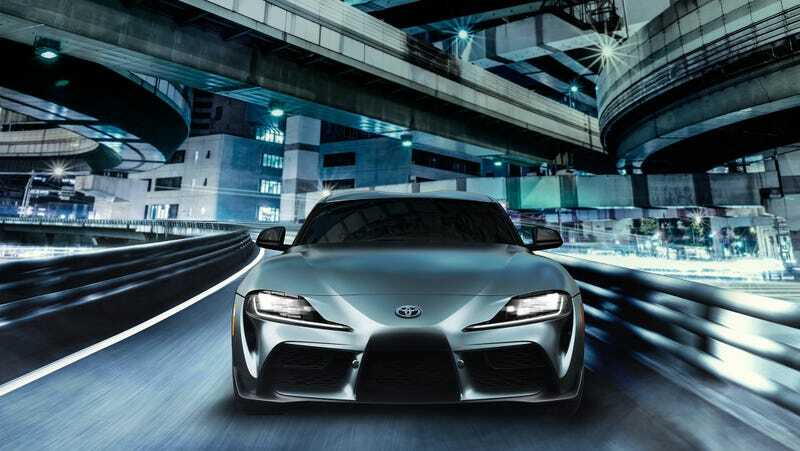 Toyota has been teasing the new BMW-based fifth-generation Supra for at least a hundred million years, and it’s starting to wear on some people, not least of which myself. It’s a fun and interesting car that might prove to punch a little bit above its weight class, taking on such cars as Porsche’s Cayman. It’s an arguably attractive design [I really like the rear haunches] that should drive quite nicely, and is priced about right for what you get. We want more sports cars on the market, and we want people to buy more sports cars, which makes this blasé feeling at the launch of the car all the more disappointing. I should be excited at the prospect of a new sports car, but instead I’m left feeling little more than relief that it’s not just another three-row crossover. It seems that Hayden Lorell is as done with the Supra as I am. An immense weight has dropped from the collective automotive sphere’s shoulders. It’s over for a little while. We don’t have to fight anymore. We can relax. Don’t worry Hayden, it is over. Congratulations on your LOTR COTD victory, Hayden. You can take a deep breath and revel in the fact that there won’t be any more Supra coverage for a while. Wait, that’s not true at all. The news will continue to trickle out on this car until it hits showroom floors this summer. And then even a little while beyond that. There won’t be any of Gandalf’s eagles to carry you back to the shire.